It should be the name of the city that is on everyone’s lips right now, but it is not. Indeed, according to some, the Rio+20 United Nations Conference on Sustainable Development, the largest ever UN conference appears to be “going up in smoke”. Even to a cynic, that may sound harsh. But as that writer points out, the leaders of Germany, the United States and the United Kingdom (as well as many others, it is rumoured) will apparently not be travelling to Brazil’s iconic city as expected for the 20-22 June conference that marks the 20th anniversary of the momentous 1992 Earth summit. We should recall that the 1992 Earth Summit was ground-changing. It introduced the Rio Declaration on Environment and Development, Agenda 21, and fostered international support for some major environmental agreements on climate, biodiversity, etc. So, we can say that the Earth Summit put in place good policies and institutional structures. It did not, however, put the globe nearly far enough on the path to sustainability. In view of this, a shortage of attendees at Rio+20 is the not the UN’s biggest challenge. At the same time as the global economy is becoming increasingly integrated and the fortunes of different nations more intertwined than ever before, so too is it becoming harder to get consensus from all the players at the negotiating table. This is especially true now that the financial markets are in a mess and many countries are burdened with debt and others are even staving of collapse. Yet Rio is an attractive destination and, beyond just the 190 or so member nations of the UN (some of whom send huge diplomatic entourages), room has to be made (and rightly so) for global civil society and the private sector. These emerging players also have a stake in and influence on the social and environmental outcomes of global policy. Despite the absence of key players, Rio+20 is still expected to include participation from 50,000 people. Is a talkfest of thousands of environmental policy players preferable to having no global meeting at all? In an unequal international playing field, this inclusivity is both symbolically and (has the potential to be) substantively constructive. But at what point do too many policymakers make it impossible for a meaningful agreement to be achieved? The underwhelming outcomes of previous climate summits in Copenhagen (COP15), Cancún (COP16) and Durban (COP17), seem to support the notion that environment-focused meetings are incentivising anyone and everyone to make an appearance, rather than delivering humanity towards mutually beneficial constructive, measurable and enforceable outcomes. It is becoming evident that we cannot allow ourselves to get locked into international negotiations where the only agreement is to agree to keep talking to each other. But perhaps we are expecting the impossible — for nation states and other self-interested actors to agree, over a very small period of time, to do something about a very big problem? Already multilateral negotiations intended to lay the platform for a Rio+20 outcome document prior to the intense emotional heat of the summit are struggling. 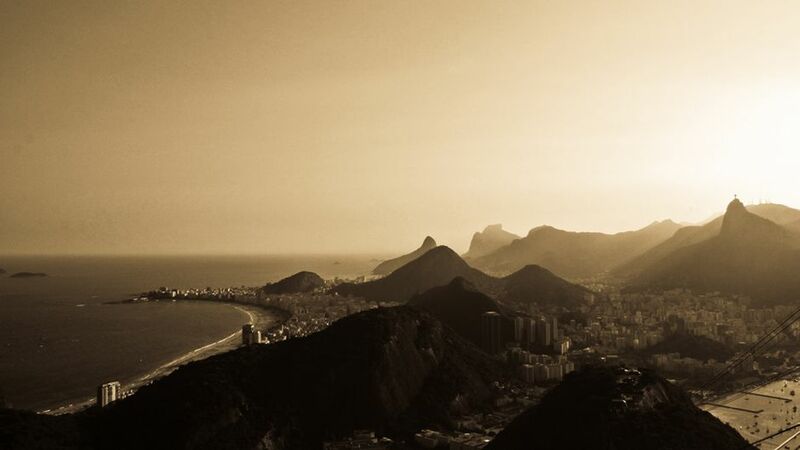 Rio+20 should be too big to fail. But it isn’t. Developed nations remain reluctant to give ground by signing up to sustainability targets that emerging nations aren’t required to meet — Rio+20’s negotiator’s bind or “Catch-22”, if you like. This Debate 2.0 is not so much about a single, simplistic question — “will Rio+20 add up to anything?” — but more about how we will measure success and failure at Rio+20? For example, if key global leaders don’t care enough to come to what the UN Secretary-General believes is “one of the most conferences in the United Nations history” should we really be worried? Is a talkfest of thousands of environmental policy players preferable to having no global meeting at all? Or is it time to call it a day with mega international conferences and pursue, instead, radical new, perhaps regional or even bottom-up approaches? Or should we look to other ways to galvanise friends and neighbours within geographical confines to agree more on policy and get real change on the ground? Tell us what you think Rio+20 will add up to both now and in another 20 years. Debate 2.0: Will Rio+20 Add up to Anything? by Mark Notaras is licensed under a Creative Commons Attribution-NonCommercial-ShareAlike 3.0 Unported License. Thanks for raising issue and trying to stimulate some debate. When it comes to Rio+20 I am an optimist. Participation from some many people, in my view, means that it will be an event of both great significance and influence. It will spur those who participate and those who the event to further action. Yeah, it is a shame that some national leaders wont attend. However, as we saw with the first Earth Summit, the impacts from Rio+20 are likely to happen at many levels beyond the national. We may see, for instance, greater stimulus of the work of NGOS. We could say, as with Agenda 21, local governments using the outcomes of Rio+20 to stimulate their work on the ground, much like the experience with Local Agenda 21. I also look forward to seeing the outcomes of the “Future we want campaign.” This is something completely new and did not happen at the 1992 Earth Summit. With the internet we are able to reach out to people across the world and ask their opinion on what kind of world we should have. This was impossible two decades back. This also suggests that what comes out of Rio+20 could also spread quickly and have greater impact that the original Earth Summit. So I am all for it. I’m not feeling very upbeat about Rio+20 being successful in a conventional sort of way, as in nations coming to any high-level agreements. But I am feeling like new ground may well be broken in terms of civil society groups coming together, meeting each other and hopefully establishing new collaborations. In general, I don’t think governments are going to be driving the changes we need in the world. They’re all but paralyzed by internal differences, competing agendas, overextended resources, and, ultimately, obsolete ideologies. To say nothing of their external challenges. And this is especially true, I believe, for the governments of larger countries that could really make a difference. That isn’t to say some parts of governments won’t be effective. Small as it is, Japan’s government-sponsored Satoyama Initiative remains a bright spot, for example. As Rian points out above, communication technology has changed the game in the last two decades, and this of course empowers individuals and non-state actors in ways that were previously unanticipated. Does that make a brick-and-mortar conference a thing of the past? I don’t think so. Seeing people face-to-face and shaking their hand (or bowing) cannot be replicated digitally. Conferences continue to have their place, perhaps especially for those otherwise far-flung civil society members who most benefit from building strong alliances that can actually, if gradually, effect the real changes that need to be achieved. Alan’s comments are always inspirational and I agree up to a point that goverments are unlikely going to be driving the changes we need in the world, especially at international level, where politics work differently from domestic matters. However, I also believe that governmnets can lay a new foundation for green economic growth, by building smart electric grids and high speed digital lines that can feed our commerce and bind us together in a whole new approach. Governments could stimulate individuals and business moving forward to sustainable green growth, if the international conference could set a goal and boost the morale of the people who believe in environmentally sustainable development. So many thoughtful insights! This video should (has to) be viewed by more people! I agree with both Alan and Kenji. Since international affairs are anarchic, it is impossible to expect a huge step at 2-3 days of conference. Anarchy causes two inevitable issues that prevent states from a significant multilateral reform: asymmetric information and relative gain/loss. For instance, Brazil committed a large investment in renewable energy and other projects. However, we are unsure whether Brazil did so for the sake of the green economy or for that of enlarging its market share in renewable energy and related fields. Even though Brazil’s true intention is to implement a green economy, asymmetric information causes some of the states to perceive Brazil’s policy as an economic expansion. Moreover, as Brazil’s investment can enlarge Brazil’s market share, these states will consider Brazil an economic threat. Thus, it is impossible to create a significantly pragmatic multilateral cooperation among approximately 190 states. I would say that it is more important to hold these kinds of meetings repeatedly to reshape our expectation and environmental policy in the long-run, than to criticize Rio+20 and its outcome. I also consider Rio+20 an important step to incorporate NGO and private sectors into international conference. As Kenji mentioned, the government can also play a pivotal role in green economy through subsidies and the implementation of new regulation on the environment. While the role of civil society has become more significant in the last ten years, the government still is the main player in both international and domestic affairs. Countries, such as China, India and Russia, control firms with a strong economic power. Even the U.S. government is tied closely with private firms. In this regard, it is impossible to ignore the role of the government in international conferences, such as Rio+20. I believe that we should wait and see the progress of multilateral cooperation in green economy beyond Rio+20. This conference is just a step toward the goal of mankind. We have more steps to climb up.